The Minnesota Twins’ attendance, not surprisingly, has reflected the struggles of the team. That creates a unique challenge, a challenge that must be addressed before a single game is played, since attendance is almost completely determined by ticket sales in the offseason. Last year, 83% of the Twins ticket sales were bought prior to Opening Day. So the Twins talked to their customers. 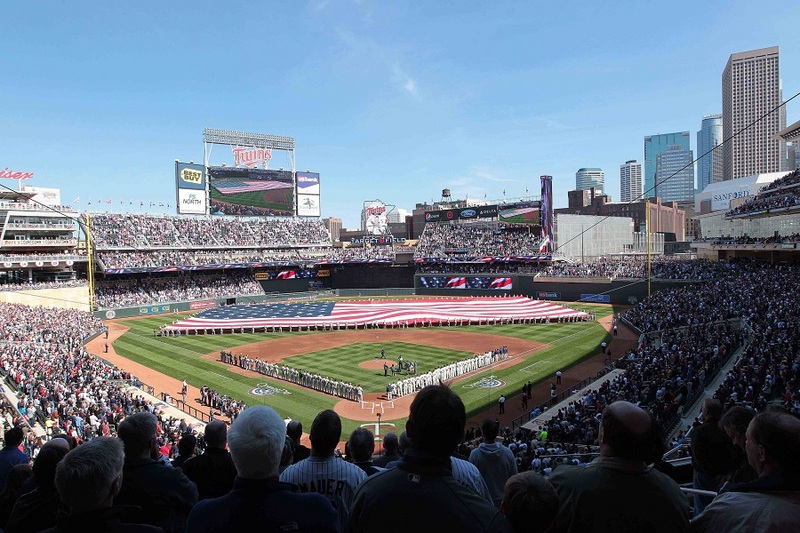 “We did a deep dive this offseason on customer behavior and what we found is that when we moved to Target Field, we opened ourselves to a lot of new customers,” says Mike Clough the Minnesota Twins Vice President of Ticket Sales & Service. The deep dive revealed that when the Twins played in the Metrodome, there wasn’t a lot of reason to attend a game if you didn’t really love baseball. However, Target Field is a different animal. “We have people that come to the game and barely watch the game but have a great time,” continues Clough. This is the super-casual fan. Baseball wasn’t on their radar five years ago, but is now because Target Field is a destination. In many ways it is the quintessential Minnesotan urban summer experience: a way to be outdoors with friends and meet new people with a shared rooting interest. It’s become a community gathering place. That was particularly true on weekends. “Looking at the games that that segment attended, it was primarily Friday and Saturday games,” reveals Clough. So the Twins put together two season ticket packages that cover their thirteen Friday (mostly night) home games or their thirteen Saturday home games. Then they added a final package that covers the 13 Sunday (mostly afternoon) games. ”We added Sundays primarily for families,” says Clough. The offer is unique in other ways, too. First, there is a level of consistency that is absent from other season ticket packages. Looking at the Twins 20-game package, the games jump from one day to another, which can cause problems for those who might have regularly scheduled activities or commitments. The Weekend Warrior packages simplify scheduling by targeting one day per week, including a Sunday option for people coming home from weekends away. It’s also unique in how the tickets are delivered. The tickets are only delivered digitally, so fans can either print them off or show them on their smartphone using the “At The Ballpark” app. The industry is evolving towards electronic-only delivery of tickets. “We want to understand what that experience is like,” explains Clough. By limiting the delivery of these tickets, the Twins gain insight on issues that might result from moving all season ticket holders to electronic-only tickets. Last year’s attendance at Target Field sank to 27,785 per game, the lowest mark for the Twins since 2005, which was before a new ballpark was announced. Of course, that was also after three straight postseason appearances. Less frequent victories for the team have resulted in more creative offers. This latest promises a summer full of weekend baseball, starting at $350. That doesn’t sound like a bad way to spend a Minnesota summer. Weekend warriors who are super casual and go to games but don't even watch the action on the field.I.E> drink, flirt, shop, talk, check cell phone, rinse, repeat. Sounds like a losing team not worth watching.And a marketing effort that takes that into account for yet another year. Come to Target Field, the newest mall in America. I don't know. If I lived semi-close to the Twin Cities, I'd be all over this. It isn't just for casual fans, but real Twins fans can get the same price. And then hang out at Target Field watching Major League baseball every Sunday afternoon! Well, when there was a home game, of course. It's the function of the Marketing Department to learn what the public wants--and find a good way to provide just that.Condescending on people who just want a "good time" seems to me to be counter-productive. The St. Paul Saints are selling one that's just all the Fireworks Friday night games at CHS Field. Coolest ticket package ever. Along those lines, I'm a die-hard and I live about 2 hours away so this package is perfect. This is the only package offered that is doable for me. This isn't just for the "super-casual" fan. One big difference between the Metrodome and Target Field is the surrounding area. I love going to Friday and Saturday night games now because afterwards there are so many fun bars and spots to migrate to and keep the party going. Has anyone else had trouble with the "At the Ballpark" app? I have it for Android os and have never been able to "check in" when at various parks I've been to and wasn't able to download the app to my ipad mini last month. I'm not very tech savvy so I might be overlooking something basic but any thoughts would be nice. For a lot of people outstate this package makes sense too. You can't make a 7pm game from Mankato if you work until 5 and the standard ticket packages are really inflexible. That's not really fair. I think it's unquestionable that I'm a pretty huge Twins fan and this is the first package I've even considered due to my personal time constraints. I work pretty much every week night; weekends are the only games that really appeal to me despite me living just four miles from Target Field. The Twins, shooting for something for casual fans, may have stumbled onto something that had a much wider appeal. Offering tickets for all Fridays or all Saturdays (or maybe even all Tuesdays or all weekday day games) is a good way of catering to people's schedules. It's hard to believe that more teams don't do this. The world has changed a bit since the monolithic season ticket packages were originally introduced. They're easier to manage now - I can see a whole slew of niche options being made available. The reason we dropped our 20-game season ticket package is because the games are all over the place and my wife works an irregular schedule and we weren't able to take in the weekend games. We were also lucky to move our Yankee and Brewer tickets early, but took a hit on other games (notably the Red Sox and Royals) that we weren't able to attend. You sell off some tickets and then buy ones for other games at a discount. Buying them all for one night would be a true benefit. Of course, the more season ticket packages that are sold, the better it is for the casual or unorganized fan as more tickets will be available via stub hub and such, although going electronic, wonder how that will work. We had a good time last year booking rally cheap seats in a variety of sections and getting different views of the field, making notes for when we might return as season ticket holders. This is a nice idea. This is something that I would consider if I lived closer. We only make it there a couple weekends a year. This year the schedule is very friendly with only two weekends with back to back home series. I haven't checked recently but do the Twins still have the season ticket sharing? I was thinking a few years ago you could search for season ticket groups that are looking for partners. I am fortunate to be a part of a pretty massive group with seating sections located in different areas of the stadium with packages mainly consisting of 2 tickets per game for 10 games or 4 tickets per game for 5 games. I live about 4 hours from Minneapolis and I gave this package some serious consideration. Friday night and Saturday games would be the only way I'd be able to (realistically) have season tickets - I'd argue that this package isn't just for the "casual fan" - but also for the serious fan that lives a bit too far from the cities to make a spontaneous trip to a Twins game.